Which bird book should I buy? Link to purchase any of these books in the Sibley Guides Shop. 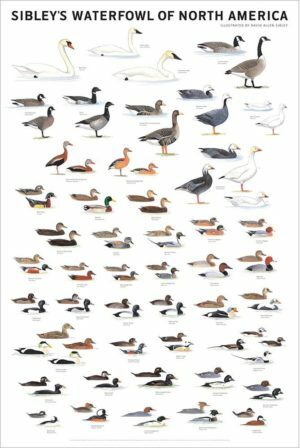 The Sibley Guide to Birds is the all-in-one identification guide. If you are a serious or aspiring birder or you travel between east and west then this is the book for you. It is hefty at over 2.5 pounds, but many birders carry it in a backpack or keep it in the car for reference. If you do much back-packing, or like to carry a guide with you in the field, the smaller Eastern or Western guide would be a better choice. Map showing the dividing line between the Sibley Eastern and Western Field Guides. Basically, if you live in a Rocky Mountain state or province, or west of there, you should buy the Western Guide. Texas is the only state not entirely covered by one guide. 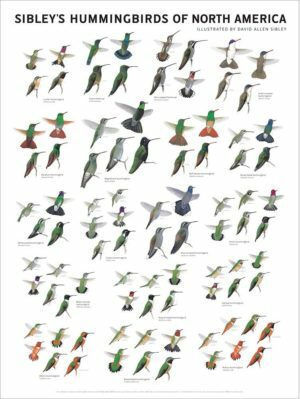 The Sibley Field Guides to Birds of Eastern and Western North America are much smaller and lighter at 1.5 pounds each, with a relatively small trade-off in reduced illustrations and detail. These books show fewer subspecies, and do not show less frequently seen plumages of many species. The voice descriptions are also less detailed than in the Guide to Birds. 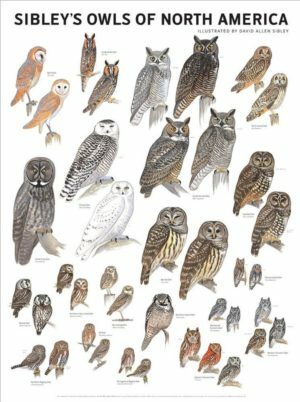 On the positive side, these books have a brief summary of the status and habitat of each species that is not included in the big book, and the updated maps are more accurate than the maps in the Guide to Birds. For more discussion of the Eastern and Western region covered by each of these guides check this post. All of these first three books are strictly identification guides. 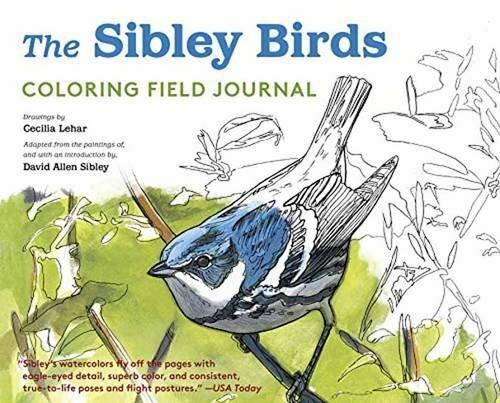 They will help you to name the birds you see, but for learning more about the birds after you’ve identified them you will need The Sibley Guide to Bird Life & Behavior. This is a book to be read while relaxing at home. The introduction is essentially a birder’s guide to the science of ornithology. 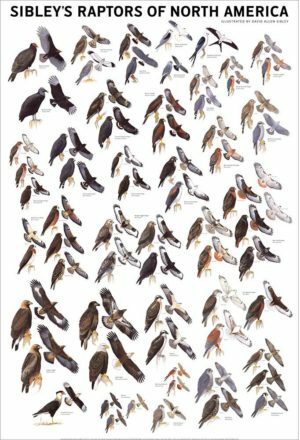 The rest of the book covers each family of North American birds in a chapter (from one to twenty-two pages long). Reading a chapter gives you an overview of many topics – taxonomy, foraging, breeding, migration, conservation, etc. – with specific examples from the birds in that family. 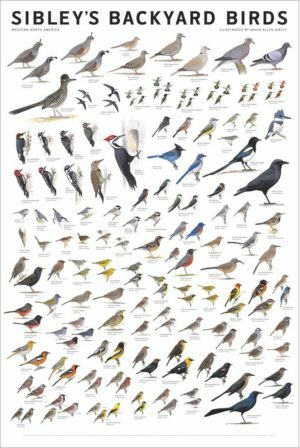 It can be enjoyed by anyone with an interest in birds, but a beginning birder will probably want a field guide along with this book. 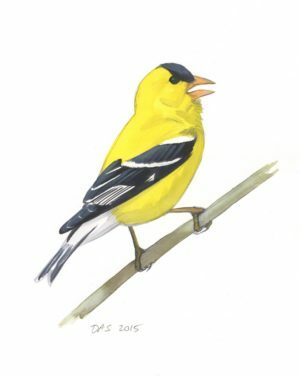 Sibley’s Birding Basics covers the basic techniques and challenges involved in the field identification of birds, and functions as the introduction to a field guide. It is primarily about bird identification techniques, but by itself will not identify birds. 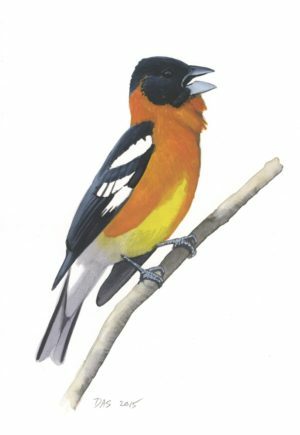 It simply helps you make the most of the field guide, and by improving your bird identification “aptitude” it helps you make the most of your time in the field. 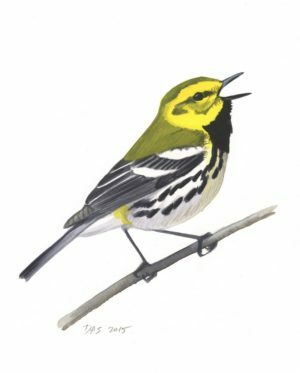 The Sibley eGuide to the Birds of North America includes all of the content from the Sibley Guide to Birds, as well as the Eastern and Western guides, along with over 2400 audio recordings and search capabilities. Currently available for iPhone and Android, coming soon for Blackberry. How come you don’t tell us which book to buy if we live in the midwest? I’ve seen this qustion asked before. A brief explanation would let us know which book our state would be listed in, I think this would be common information available if you want us to buy one of your books. 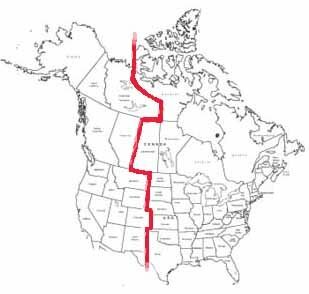 I live in Minnesota and need to know if I should look at the Western or Eastern North American book. Hi Jean, That information is in the next post here . I’ve also updated the text above to include the link. Minnesota is covered by the Eastern guide. Are there any plans to update the 2000 version of the main guide book? The range maps are badly out of date. It would also be great to include the habitat information that’s included in the regional guides. It’s the perfect guide book except for these flaws. 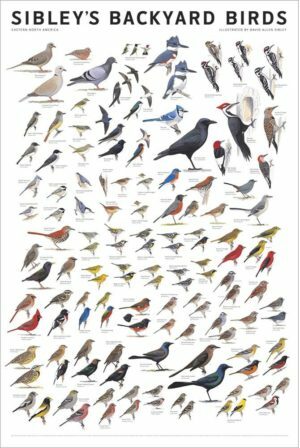 Hi Jim, Discussions are beginning on a revision of the big guide to birds. It will probably take a couple of years, though, to make all the corrections and additions I want. i was told your revision would be out Spring 2011, so i been holding off buying the book until then….not true? Sorry, no. I’m just beginning work on it, so spring 2013 is more likely. I have a copy of your original 2000 book, hard cover with a dust cover. I love it. It is, however, at my Florida home and I am in Maine. I have tried to buy another one for this house and cannot find it. Amazon sent me a “library bound” copy that is not the same and has the pages out of order. I sent it back. How do I find another of the original ones or is the new edition available in hard cover with a dust cover? Hi Harold, There is only one edition of the Guide to Birds, with a “flexibound” cover (actually, the Easton Press leather bound limited edition has a hard cover, but no dust jacket). The Guide to Bird Life and Behavior originally came out in hard cover with a dust jacket, and recently came out in a soft cover, both are listed at Amazon. I’m not sure what “library bound” means, and there’s certainly no excuse to sell a book with the pages out of order, so you were right to return that. I guess my main point is that the binding of the books hasn’t changed since the first printing so you should be able to find just what you’re looking for at Amazon or your local bookshop. Is there an Western Guide from Sibley in Dutch? I live in mid-Montana. Which guide to use? Seems i am so close to west/east border, I need either the large guide or both western and the eastern guides. what is the date of latest revision? Hi Madeline, The Western Guide covers every species that occurs regularly in Montana, and it has newer range maps (from 2003) than the big guide. You shouldn’t need the Eastern Guide, but you might want the big guide for the larger format and more species. I’m just beginning work on a revision of the big guide, to be done in a couple of years. Which of the guides is best for Mexico? I live in So. Mexico and have used the big guide since it came out in 2000. It is too big to carry, so I leave it in the car and carry a different one. Would one of your smaller guides cover all of the migratory species? There are no guides of Mexican birds in English that cover both endemic and migratory species that are any good, that I know of. Good question. I would probably recommend the Eastern Guide for southern Mexico, since most of the strictly western species that occur in Mexico also nest in Mexico and will be covered in those field guides (like Lucy’s Warbler) or occur often enough in the east to be included in that guide (like Hermit Warbler). Neither the Eastern or Western guides will cover all migrants there, and the big guide is going to give you the best coverage of all migrants, but the Eastern guide should cover the vast majority of species. Just want to cure my doubts, we live in Amarillo, TX and are using the Eastern North America guide. From what I’ve read it’s the only one we need, or would a Western Guide be somewhat helpful from time-to-time? 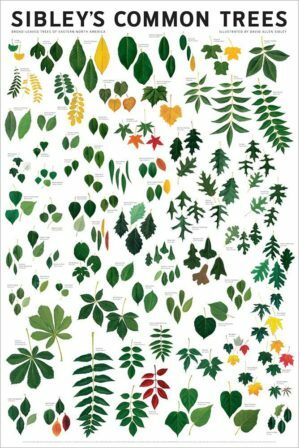 Beautiful books and easy to use, thanks! In Amarillo Texas you will be fine with the Eastern guide. It is a given that some western species will turn up on rare occasions that are not in the guide, but that’s true anywhere. 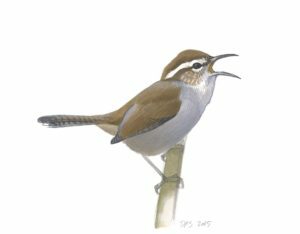 So you might want to get the Western guide or the complete North American guide for those occasions, but for day-to-day birding the Eastern guide should work well. Hi David, The Western Guide should cover everything you will see in Baja, except for the few Mexican species that occur there but don’t cross the border into the US regularly – Xantus’s Hummingbird, Gray Thrasher, etc. Is the new version of the 2000 main guide book out yet? We’re still working on it. The release date is scheduled for about a year from now – spring 2014. Thanks for your interest. I would like to know which book most birders use the paperback or the flexibound for traveling and field use. Hi Don, There is only one binding on the field guides, it’s a stiff paper cover that extends out a little farther than the pages and has big flaps that you can insert between pages to hold a place. The cover is flexible, so it’s not a “hard cover”, but it’s not like a typical “paperback” either, hence the confusion. Some sellers list it as “paperback” because they only have two categories of covers. Others call it flexibound. 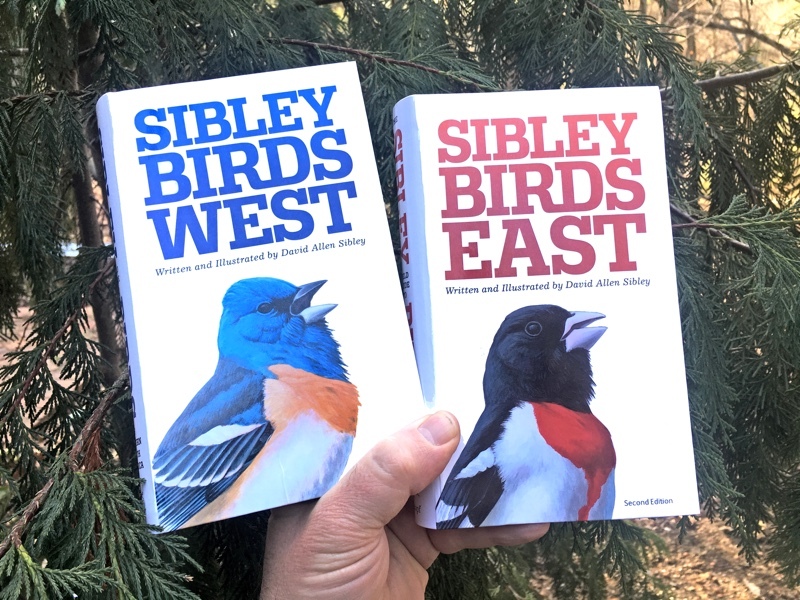 Hi, I’m interested in purchasing the Sibley Field Guide to Birds of Eastern North America in paperback. In the note above you state that sellers refer to it as a “paperback” or “flexibound”, however, Amazon is selling both and the latter is markedly cheaper. I am confounded as to which to order and why a major retailer is offering two distinct versions. Hi Sebastian, I just checked on Amazon and I think the confusion is that none of the books are sold by Amazon itself, in fact new copies have gotten hard to find. You’re seeing a lot of used copies and a few new ones from resellers. The descriptions of the binding are variable and the prices are all over the place. Still, there is only one edition and only one binding ever produced, so you can shop with the assurance that there is no difference between “paperback” and “flexibound”. 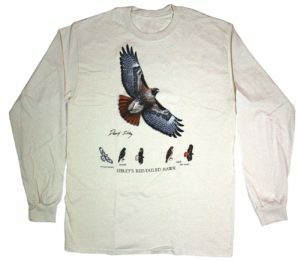 I have both the send adition and the Eastern addition but want to expand my knowledge of both birds and birding. 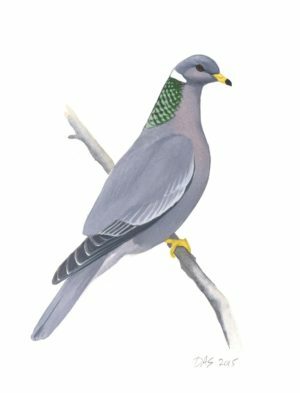 I plan to get both the Birding Basics and the Bird life and Behavior but since I am on a limited budget, I would like to know what to get First. I would imagine they both complement each other but one probably is a better starting point than the other. Can anyone help me decide where to start? ? Is there an option to choose paperback or flexibound? On Amazon they have a paperback for about the same price as here, and a flexibound version for about twice as much. On this Sibley site there is only a single choice for a flexibound book. I want the flexibound, and want to make sure that’s what I’m getting from the Sibley site. Do you know why the flexibound version at Amazon is so much more expensive?